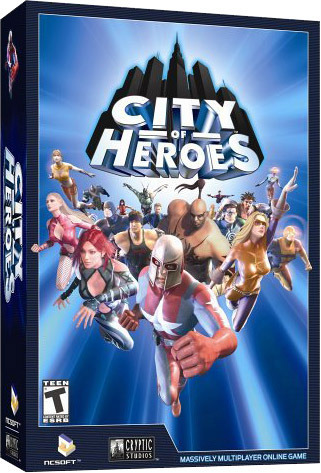 City of Heroes (CoH) is a massively multiplayer online role-playing game based on the superhero comic book genre, developed by Cryptic Studios and published by NCsoft. The game was launched in North America on April 27, 2004 and in Europe (by NCsoft Europe) on February 4, 2005 with English, German and French language servers. Fifteen free major updates (Issues) for City of Heroes have been released since its launch. The newest update, "Power Spectrum", was released on September 15, 2009. In the game, players create super-powered player characters that can team up with others to complete missions and fight criminals belonging to various gangs and organizations in the fictional Paragon City.